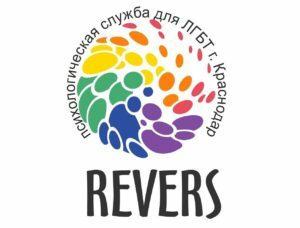 WHAT WE DO - Krasnodar LGBT social movement "Revers"
Krasnodar LGBT social movement "Revers"
Community center “Revers” – a safe space for LGBT community of Krasnodar, as well as allies and guests. 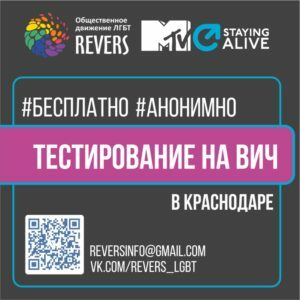 “Revers” monitors for cases of discrimination based on sexual orientation and gender identity. 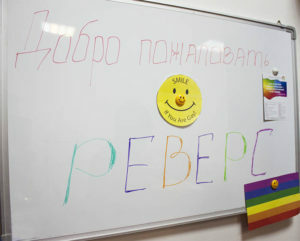 In our Community Center an anonymous free rapid HIV testing is conducted. 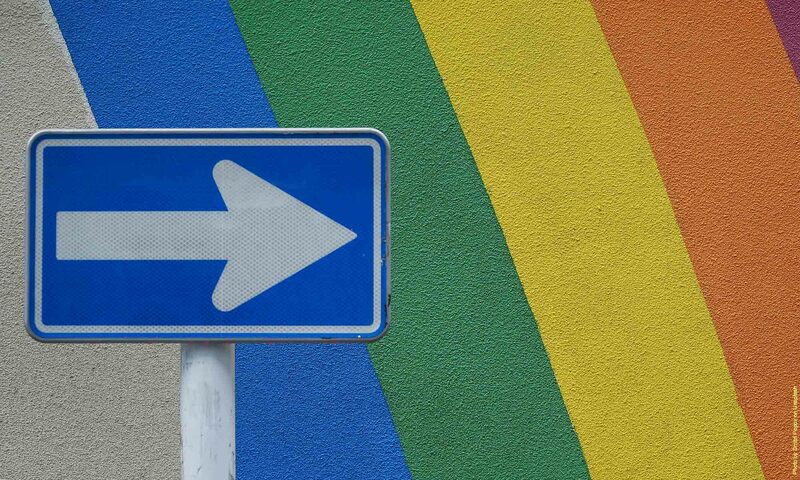 Testing is carried out using a third -generation OraQuick Advance Rapid HIV-1/2 Antibody Test, the best in its class. The accuracy (sensitivity) is 99.9%. 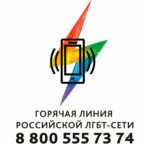 The system test is certified by the Ministry of Health of Russia. You will learn the result in 20 minutes. 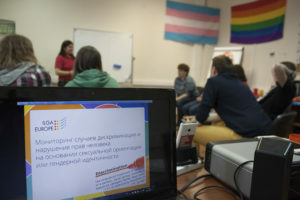 Krasnodar LGBT social movement “Revers” is implementing a project in Krasnodar and Rostov-on-Don aimed at improving the quality of life of transgender and intersex people in the Southern Federal District. 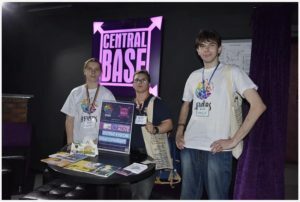 The community is created to support, inform and improve the level of socialization of trans-people, as well as for acquaintances and communication.